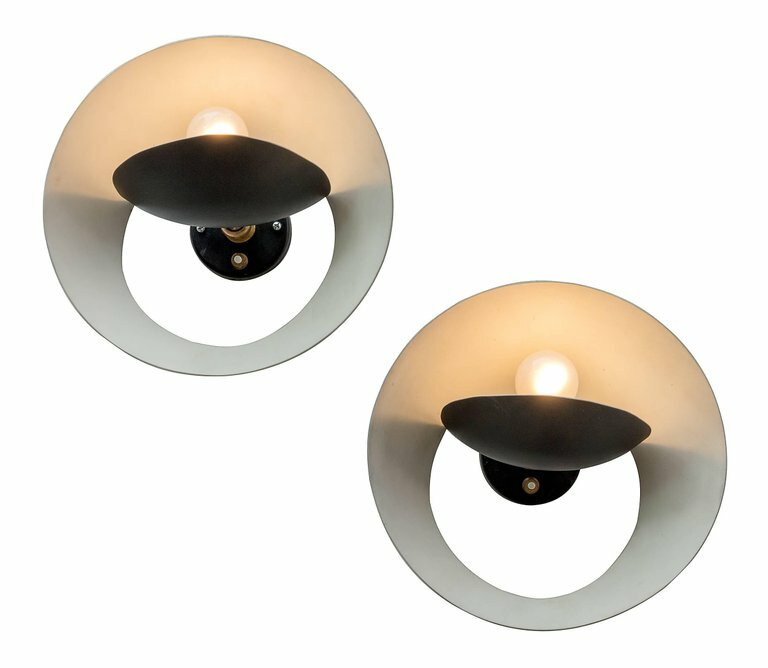 Another unique and wonderful design from the renown French lighting designer Serge Mouille. The light has been designed to shield the bulb and the pivoting arm assists in controlling the direction of the light. H 10 in. x W 10 in. x D 8 in.